If you are a fan of sushi, this top selling product is a must for your kitchen. 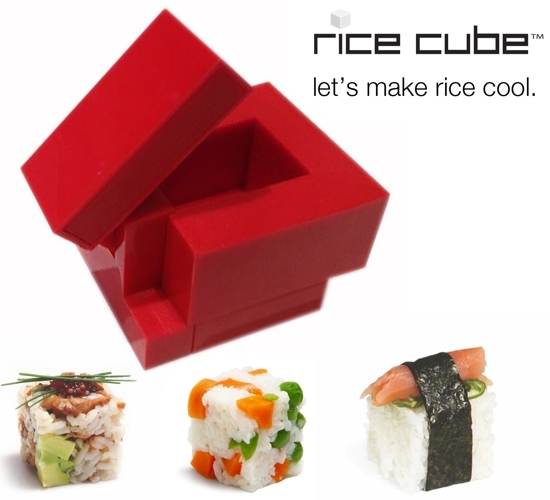 The Rice Cube uses compression to mould rice in a simple and effective way allowing you to make many types of sushi with any rice and other ingredients. Children can add nutritional food to the rice so that making and eating healthy food becomes a fun activity. The Rice Cube can also be used to make other types of food (meatballs, polenta, falafel, butter, cookie dough). There are so many other applications for this simple gadget so be inventive and have a look at the demonstration bellow.